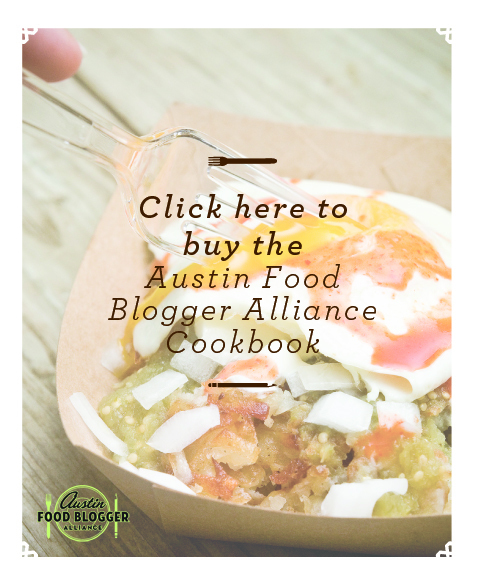 It’s been two weeks since we launched the pre-sale campaign for the first Austin Food Blogger Alliance Cookbook, and the response has been amazing! Thank you so much to everyone who has shared the news about our book through word-of-mouth with friends and family, as well as with some awesome posts on your blogs. 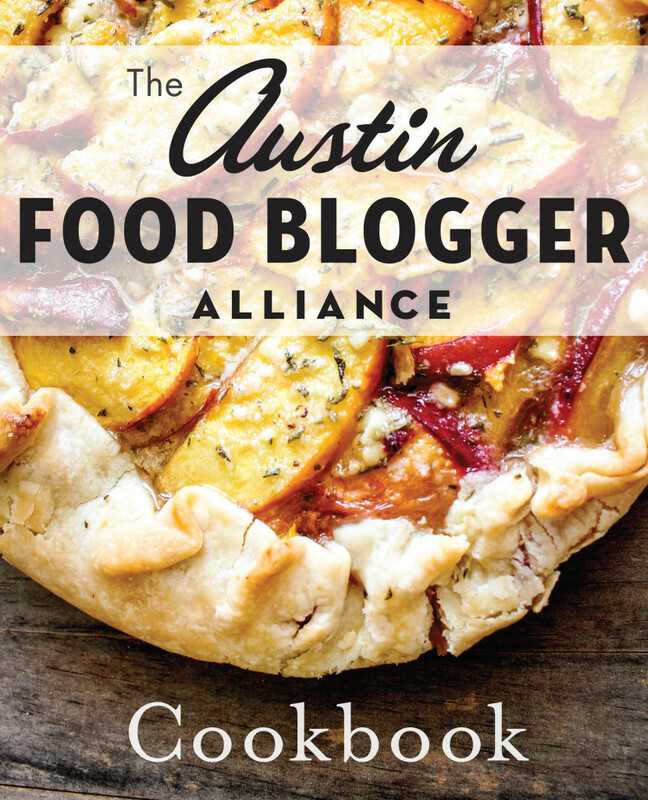 To further whet your appetite for this landmark (for us) project, we are releasing the cookbook cover and list of recipes that will be included in the book. (We also have a nifty little image, below, that you can use on your own sites to encourage readers to buy the book.) The book won’t officially come out through the History Press until April, but you can buy the book ahead of time for $25 each (or 5 for $100) through the AFBA website and at any of our upcoming events. Thank you again for all of your help and support! If you have any questions, don’t hesitate to email me at broylesa@gmail.com.